The Syrian civil war has raged for more than six years now. You've probably heard the following story linking it to climate change: an intense drought, made more likely thanks to global warming, caused "mass migration" within the country from rural to urban areas, which in turn contributed to the 2011 uprising which then escalated into civil conflict. This narrative assumes that there is a relationship between drought, migration and conflict. However, the connection is not so clear-cut. Our worry is that putting too much emphasis on the climate overlooks the role of political and socio-economic factors in determining a community's vulnerability to environmental stress. Conflict is not inevitable in the face of drought. That's one conclusion from our work on drought and resource management in Syria. In our research, we broke down the popular "climate war" claim into two parts – the link between drought and migration, and the link between migration and conflict – to see if and how these factors fit together. We started with the very idea of environmentally induced migration. The problem is that it's very difficult to determine the actual reasons why people leave home and look for opportunities elsewhere – a changing environment is likely to be only one among several factors and not necessarily the most significant. For instance, having the capital to move is a major factor for migration, so only those who can afford to move in response to drought are able to. 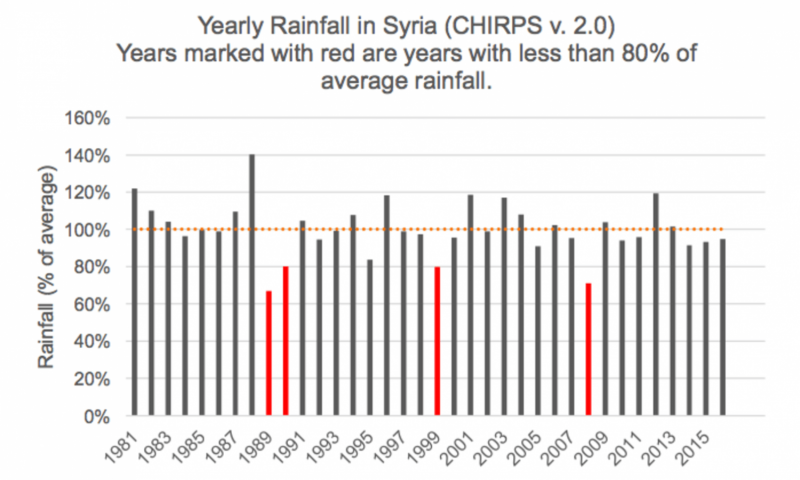 The drought which affected Syria has been described as a severe, multi-year drought that lasted between 2006 and 2010. 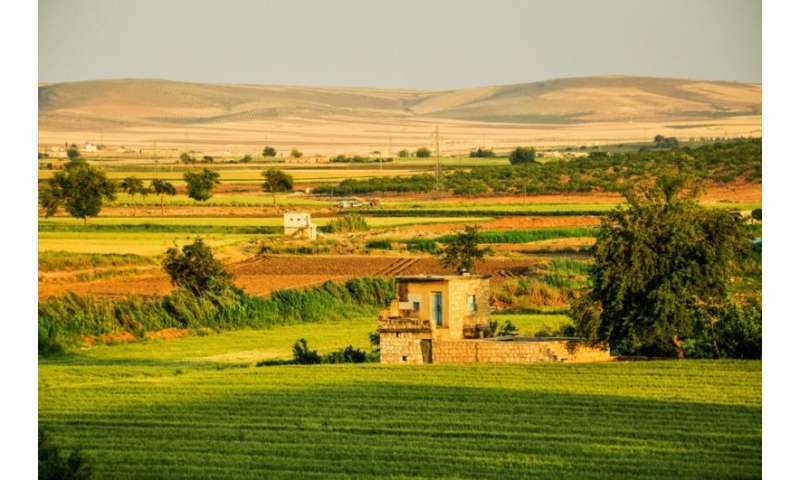 But rainfall levels in 2006, 2007, 2009 and 2010 were close to normal, both in Syria as a whole and in the northeastern "bread basket" region. This suggests that only 2008 was a real drought year. A drought can be devastating for one community but barely noticed in another. Just look at the Kurdistan region of Iraq, which was affected by the same dry period as Syria but without any mass migration flows at the time. A community's vulnerability to drought is more important than the drought itself. Religious, social and ethnic integration may also improve as contact with one another increases. However, migration can also promote conflict, through increased competition for resources and services, and tensions due to ethnic and demographic changes. The potential for conflict in a given urban space is mitigated by factors such as the destination area's ability to absorb migrants, the permanency of people's migration, and whether there is already social and/or political instability.